The Zen Buddhist Order of Hsu Yun, developed by the founders of the Nan Hua Zen Buddhist Society, was the first exclusively electronic ministry on the Internet. The priests of ZBOHY follow the ancient teachings of Hui Neng and Lin Chi and the modern teachings of Hsu Yun. 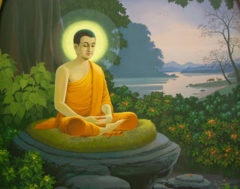 The Sangha has no dues or fees of any kind, neither do we accept donations of any kind. Our site is maintained by volunteers all over the world in a spirit of service. Precepts are given free of charge to correspondents who have demonstrated a sincere desire to follow the Buddha's EightFold Path. Receive notifications by email when a new essay is published on ZATMA.